I love winter~ long January days where the snow stretches until it blends with the low white clouds. No definition of distance, just shadows to foretell what is to come. Winter is clean, cold and refreshing. 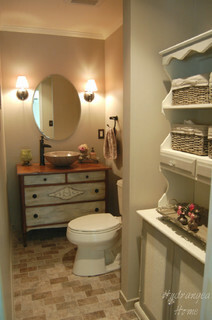 Snowy whites and creamy ivory swirl together creating a sense of calm. The air is still. The whole world seems at peace. As nature rests under a blanket of snow, time is spent in thought. There are books to be read, journals to be written, rooms to refresh, plans to be made for the garden. But nothing needs to move to fast. We have time. Winter is here and we can take things slow, time to relax and get lost in dream world of all white. In January I always want to paint everything in the house a shade of white or ivory, maybe even beige or pale gray thrown in for interest. It is not cold and stark but rather clean and cozy. A late evening fire in a winter white room gives each item a glow~ the shadows are soft and relaxing. 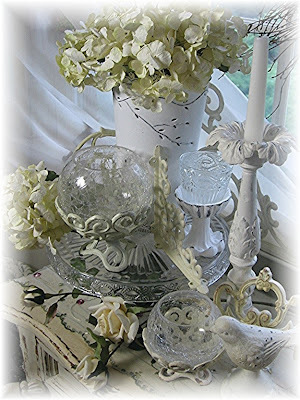 Plush white linens and fragile ivory lace beckons gentle serenity. A well appointed bed with piles of winter white linens topped by a cashmere throw just tempts me to open the window and listen for the stillness brought on by a blanket of snow. Then, just when one thinks the winter will never end; brave flowers peek up through the snow, the Jonquil, the Lenten Rose and the Prairie Pasque Flower. Their delicate flowers even more precious against the white snow, and the season begins to change. 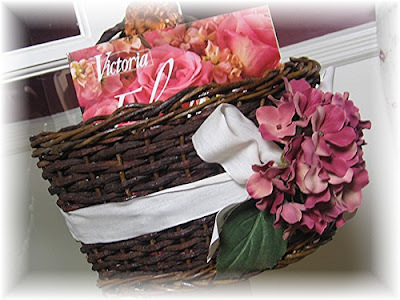 Please join us at Make Mine Pink for another beautiful shopping theme. See what the boutiques have to offer HERE. See what Winter White items I am offering HERE. Finally, they're here! 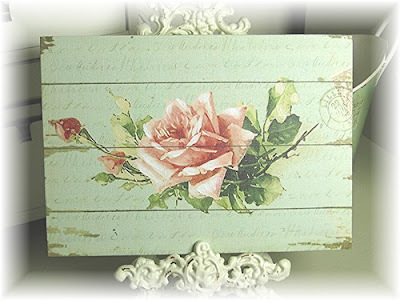 I ordered these gorgeous new rose canvas prints, tubs and frames 5 months ago. I just received them yesterday and couldn't wait to get them photographed and listed. You can find them HERE in my shop! While at the NY Gift Show this weekend, I picked up a Home Accents Today trade magazine and they had an article on What's In and What's Out. This list was based on retailers best and least selling items, polled in mid-December. Not all of you may follow trends in home decor, but there were some interesting things on the list, so I thought I'd share it here. Monograms,Mirrors-Venetian, etched or printed with graphics, Traditional prints in larger scales and bolder colors, Geometrics, Document-printed linen fabrics, Bohemian look (thought of you Debbie), Ikats, Over-the-top wallpaper patterns, The updated wingback chair, Cheeseboards, platters, bowls, Spectacular serving pieces, Natural edge cutting boards, Small tables with branch legs, Wooden twisted stools, Twisted wooden lamps, Metal serverware, Decorative bathroom rugs, Reversible Soumak rugs, Bigger lamps, interesting shades and bases, Window treatments, Art with interesting mats, Vintage look in large distressed wood or iron accessories, Walnut finishes, Leather, Mercury glass, Recycled glass, Animal prints, Owls (thought of you Roxie), Penguins, Monkeys, Buddhas, Scent diffusers, Soy and beeswax candles, Eames-era modern design, Old-fashioned board games, Rustic glamour, Mixing styles and periods, Modern nostalgia, Spare, simple design, punctuated with touches of luxury, The eclectic urban loft look, Living rooms as lounges, All shades of green, Black/white/gray/silver, Gray/charcoal/pewter paired with clear bright colors, Copper and bronze, Jewel tones, Rusty reds, tangerines, Pinks, violets, and lavenders, Nature themes, Permanent botanicals, Unique side tables, Antiques and found objects, Chinese antiques, Decorative down pillows, Velvets, linens, cottons, silk and bamboo fabrics, Anything eco- or environmentally-friendly, Charity, cause-related shopping, Made in the USA, made locally, Fair trade products, Handmade/Artisan items, Eco-friendly packaging, Salvaging, reclaiming, repurposing, recycled anything, Organic materials, natural fibers, Comfort, Useful, thoughtful gifting, Frugality, Value, Understated elegance, Customer appreciation. High maintenance furniture, High maintenance anything, Manufacturers without eco-friendly and ethically responsible practices, Luxury niche products, Unnecessary extravagance, Muddy earth tones, Shiny gold, Outdated product packaging, The Victorian Vintage look, Too many flowers in floral arrangements, Faux flowers, Case good painted with floral motifs, Resin accessories, Boring lamps, Boring lampshades, Super-traditional fabrics, Floral fabric prints, Small picture frames, Nautical and shell themes, Cheap imports, cheap imitations, Excessively large artwork, Excessive consumption, Country, Primitive, Shabby, Collectibles, Entire name imprints, Rooms saturated with mirrored furniture pieces, Deep cherry finishes, Matchy-matchy, Keeping up with the Joneses, Over-priced anything, Negativity. Remember, this list does not reflect the views of Home Accents Today's editors. It reflects the views and experiences of their retail readers which cover a variety of different geographic areas, price point ranges, product styles and economic climates. Love to hear your opinions on the above! 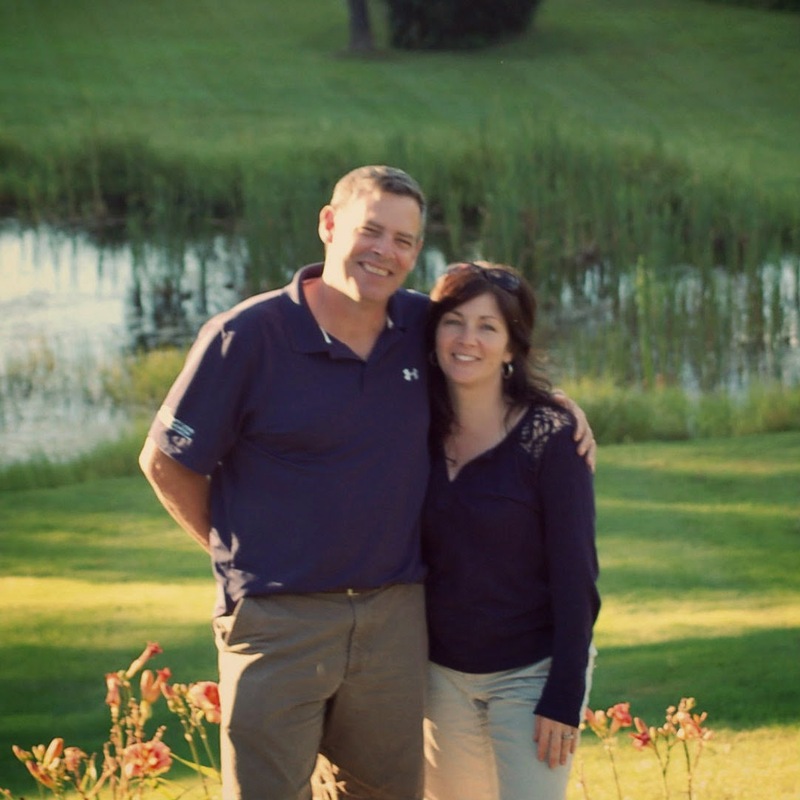 "Dawn, I'm so envious of your feedback! This is exactly what I'd hoped our readers would do once I posted the In-Out list on our website! I have to tell you that once we got to Atlanta, we saw a lot of new "Ins" that indicate we'll see more Victorian vintage, coastal themes and traditional styles in stores in a few months... If any of your readers would like to be added to the list of retailers polled for next January's In/Out list, please drop me an email with your contact info to: susan.dickenson@reedbusiness.com "
Great for organizing the office. 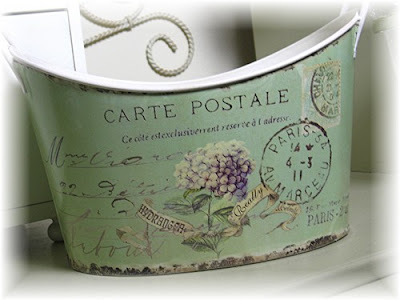 I have one of these Hydrangea Wall Baskets left and it's just been placed under the TENT! A Beautiful Life - Hooked on Tassels! Melissa over at the Inspired Room is doing a great series of posts on living a Beautiful Life. Click on the link above or on my sidebar to hear all about it! This week's post is about feeling overwhelmed, and finding balance when your lacking the inspiration. My best therapy is painting. I find something to occupy my little one, turn on my painting music, (Enya, Il Divo, or Yanni). And I go to work. I go off into my own little world when I'm painting. Even if the house is upside down, it's all ok, because I painted something pretty! I recently started to get back into making tassels, hand painted ones too. And I'm hooked! Here are a few of my recent creations. Visit Hooked on Houses to see what everyone else is hooked on today! Who doesn't love Roses and Romance?! This is a fun theme at Make Mine Pink's shopping event. 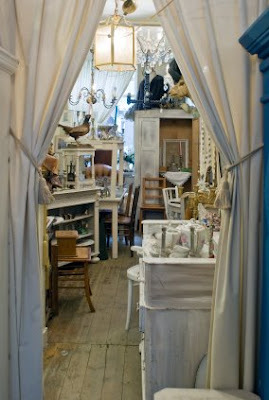 And there are lots of participating boutiques - Click Here to see what they are offering. And Click Here for my Pink Friday page. 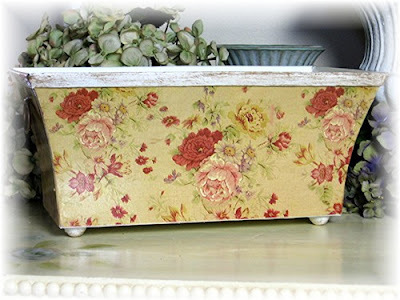 I have only a couple of these Red and Gold planters left and have just place them on sale under the TENT! Pink Friday - "In With the New"
“In With the New” With the the New Year well underway; many of our resolutions neatly tucked away. Were your plans to add a new color to brighten even the dullest of January days, or perhaps organizing your desk just to clear things away a bit? Was it resolve for time spent alone in thought with a fresh new tea and new decorating book, maybe candles to brighten even the darkest of winter evenings, or a special bubble bath for a relaxing spa night? Which ever way you celebrate “In with the New” the boutiques at Make Mine Pink are ready and able to help with a glimpse of new trends, colors and designs for a fresh start to your new year. "Joyce Lucas, owner Make Mine Pink"
Please join the boutiques at Make Mine Pink Friday January 16th for shopping with a twist. See my Pink Friday offerings Here! New Creations ~ Coming Soon! I was just looking at my site, which is looking kind of bare after the holidays. I have marked many things down to make room for lots of new designs this Spring. 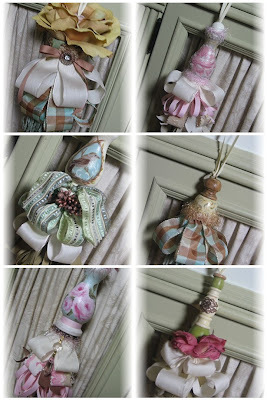 You can look for new canvas art I have been working on, new florals, and lots of new tassels. I am having so much fun with these. 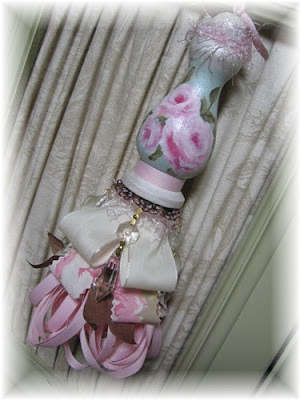 I made tassels many years ago and then stopped. But they definitely seem to be getting popular again. They are each like little works of art. So fun! 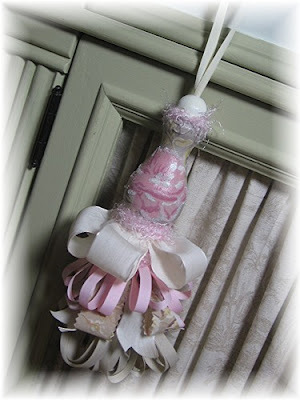 My Treasury of Tassels is coming soon! 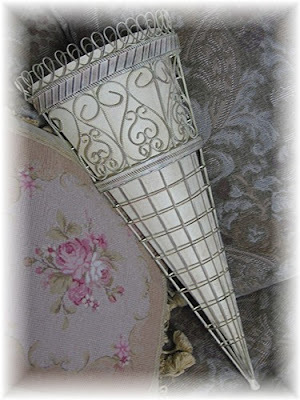 These French-style Wire Floral cones have just been place under the TENT! 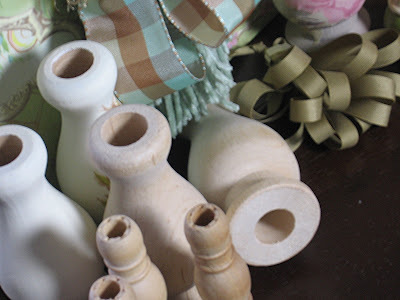 Add some pretty spring flowers to these for a new floral focal point in your room. 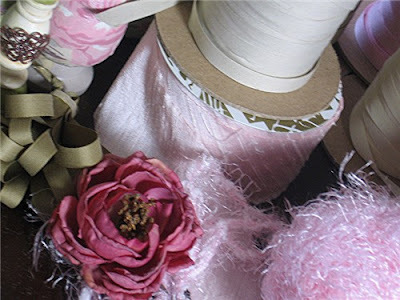 "Making Way for the New"
We're so happy to be back in this wonderful new year and offering you the same PINK FRIDAY events at Make Mine Pink! The year 2009 promises to be full of fun and exciting themes for your shopping pleasure. Won't you join us each Friday as Make Mine Pink presents Shopping with a Twist? Don’t you just love the first week of January? All the holiday trimmings are stored away, the gifts are in use or proudly displayed, our houses are freshly cleaned and organized, and all the proper pillows are back on the sofa. But wait—there is something, just a little something, nagging at us. Yes, time for a quick change here or there. Maybe new pillows will make that sofa more inviting, a new rug to give the room a quick pick-me-up, some different everyday dishes would perk up the kitchen, or the fresh sent of a new potpourri will welcome us home each day. Well, that is it... the wonder of the New Year—we see everything anew. The Boutiques at Make Mine Pink are experiencing the same thing. We love everything we offer in our boutiques (our merchandise is gorgeous), but it is time for us to straighten up the shelves a bit, look at everything with new eyes, and refresh our stock. So, we are celebrating this Pink Friday with a special “Making Way for the New” shopping event. 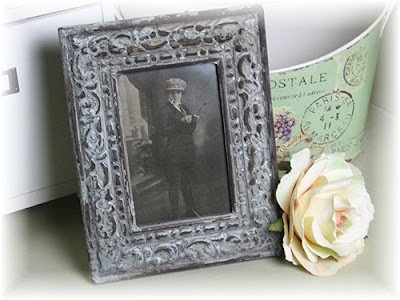 Don’t be fooled by our fabulous sales, this is not old, dusty, unwanted stock. It is our usual, beautiful and unique merchandise! We just need it to go to a new home so that we can stock our shelves with new and even more exciting merchandise for the new year. Don’t miss this once a year event! Friday, January 9th at Make Mine Pink! Click on the highlighted link above for the list of MMP boutiques. Click HERE for my Pink Friday offerings. 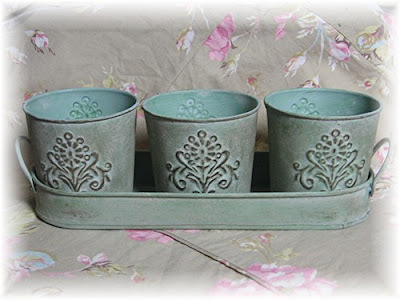 This set of 3 metal pots and tray have just been placed under the TENT! 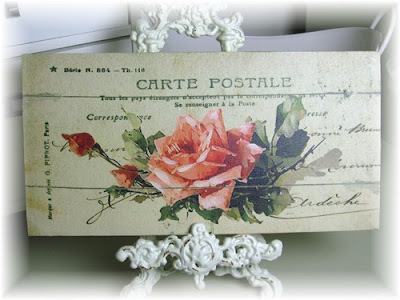 Think of your home office, craft studio or just filling with flowers and placing on your window sill.